This bibliography originated from a private list of I. Sh. Slavutskii which was subsequently completed and organized by L. Skula in Brno, Czech Republic, and was published as "Bernoulli numbers. Bibliography (1713-1983)" by L. Skula and I. Sh. Slavutskii, J. E. Purkyne University (now Masaryk University), Brno, 1988. A new edition was later published as "Bernoulli numbers. Bibliography (1713-1990)" by K. Dilcher, L. Skula and I. Sh. Slavutskii, Queen's Papers in Pure and Applied Mathematics, No. 87, Kingston, Ontario, 1991. It was the TeX file for this publication and later supplements which served as the basis for the present electronic version. The present bibliography will be regularly updated. However, we did not include the subject index (which was actually only a title keyword index) of the 1991 printed edition. We suggest that the search function of the user's web browser be used for this purpose. It will be best to use the complete file for this purpose (but it is quite large: 497k). We welcome comments, suggestions and corrections, and especially references to books or papers we may have missed. Please send comments by e-mail to K. Dilcher, dilcher@mscs.dal.ca, or by regular mail to either of us. In December, 2005, this bibliography contained 2970 entries by 1493 authors. 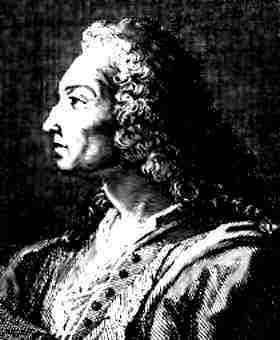 The Bernoulli numbers are among the most interesting and important number sequences in mathematics. They first appeared in the posthumous work "Ars Conjectandi" (1713) by Jakob Bernoulli (1654-1705) in connection with sums of powers of consecutive integers (see Bernoulli (1713) or D.E. Smith (1959)). 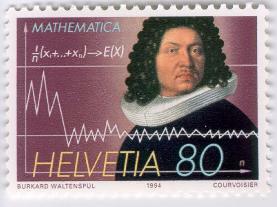 Bernoulli numbers are particularly important in number theory, especially in connection with Fermat's last theorem (see, e.g., Ribenboim (1979)). They also appear in the calculus of finite differences (Nörlund (1924)), in combinatorics (Comtet (1970, 1974)), and in other fields. Definitions and main properties of Bernoulli numbers can be found in a great number of articles and books listed in this bibliography. Good introductions are given, e.g., in Ireland and Rosen (1982, 1990), Rademacher (1973), and Nörlund (1924). A handy collection of formulas is in Abramowitz and Stegun (1964). Some older books are entirely devoted to Bernoulli numbers; among them are Chistyakov (1895), Nielsen (1923), and Saalschütz (1893). One should, however, be aware of possible differences in notation and indexing, especially in older publications. The number sequences of Euler, Genocchi, Stirling and others, as well as the tangent numbers, secant numbers, etc., are closely related to the Bernoulli numbers. We have therefore included many publications dealing with these number sequences. The same is true for the numerous generalizations and extensions of the Bernoulli and allied numbers and of the corresponding polynomials. However, from the vast literature on Stirling numbers (and some other topics) we included only those articles that appeared to be quite close to the topic of this bibliography. Basically, this bibliography contains papers that (i) deal primarily with Bernoulli numbers and related number and polynomial sequences, and (ii) those in which these numbers and polynomials are applied. In the first category we tried to be as complete as possible. However, there are probably many papers we have missed. As far as the second category is concerned, we were faced with two problems. First, because of the vast number of articles in which Bernoulli and related numbers occur in one way or another (e.g., through the Euler-Maclaurin formula), it would have been unreasonable to attempt including them all. We included those in which Bernoulli numbers play a relatively important role; these criteria, however, are not well defined and are somewhat arbitrary. Second, it is almost impossible to identify all papers dealing with applications of Bernoulli numbers. Also, the focus of this bibliography is somewhat slanted toward number theory, the main field of our interest and expertise. There are no clear rules concerning translations of titles from languages other than English. Titles in English, French, and German have usually been left in their original. While in the 1991 printed edition most Russian titles were given both in their original and in English translation, here they appear only in translation (as they appear in Mathematical Reviews), or in some cases in transliteration. Titles in other languages are usually given as they were found in the sources. This may mean the original alone, or the English translation, or sometimes both. In some cases, titles are given only in German translation. In the present version, some accents or diacritical marks may not appear correctly, or not at all. Reviews in Number Theory (1940--1972), edited by William J. LeVeque, American Mathematical Society, 1974. Reviews in Number Theory (1973--1984), edited by Richard K. Guy, American Mathematical Society, 1984. History of the Theory of Numbers, 3 Vols., by L.E. Dickson, Washington, 1919-1923. CompuMath Citation Index, Institute for Scientific Information, Philadelphia, PA, (1980 -- ). The Royal Society of London Catalogue of Scientific Papers (1800--1900). An Index of Mathematical Tables, Vol. I, II, by A. Fletcher et al., Addison-Wesley, Reading, Mass., 1962. Index to the American Mathematical Monthly, Vol. 1--80, Mathematical Association of America, Washington. A Handbook of Integer Sequences, by N.J.A. Sloane, Academic Press, New York, 1973. (See also Sloane and Plouffe (1995)). A Table of Series and Products, by Eldon R. Hansen, Prentice-Hall, Englewood Cliffs, N.J., 1975. Biblioteca Mathematica by Erlecke, 1871. Furthermore, a good number of older papers that were previously unknown to us were found in the Mittag-Leffler offprint collection at the University of Lund, Sweden. A bibliography of that collection is now available from Jaak Peetre of the Universtiy of Lund. Another set of older papers, added in August, 2001, is from the unpublished Bibliography Vandiver . Names of journals are mostly abbreviated in accordance with the style used by Mathematical Reviews. A list of abbreviations can be found in any author index of M . No unified system of abbreviations was attempted with older journals; most appear as quoted in the sources.